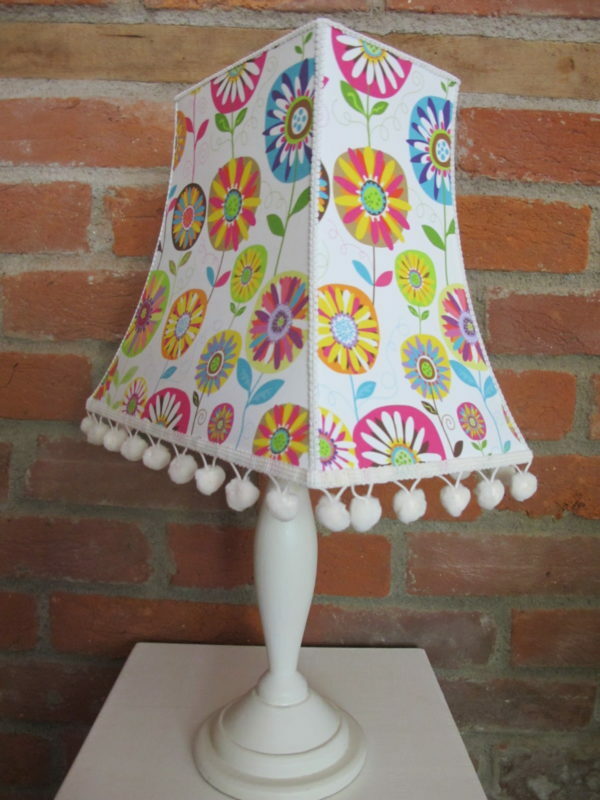 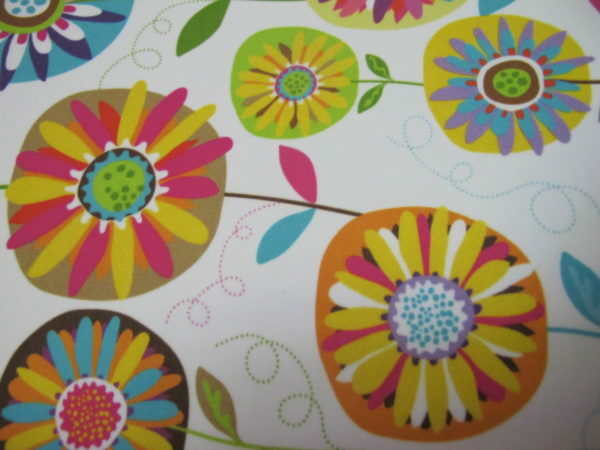 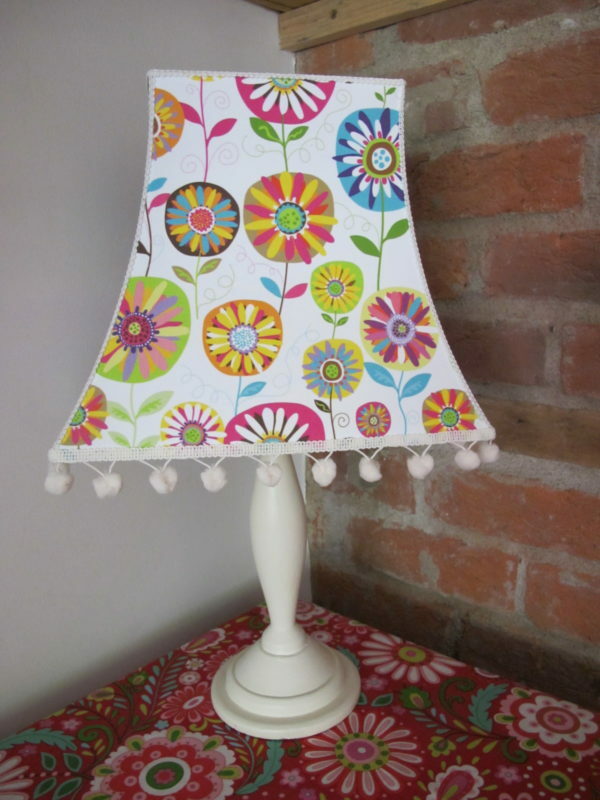 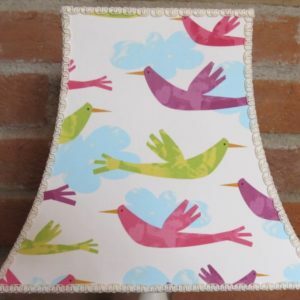 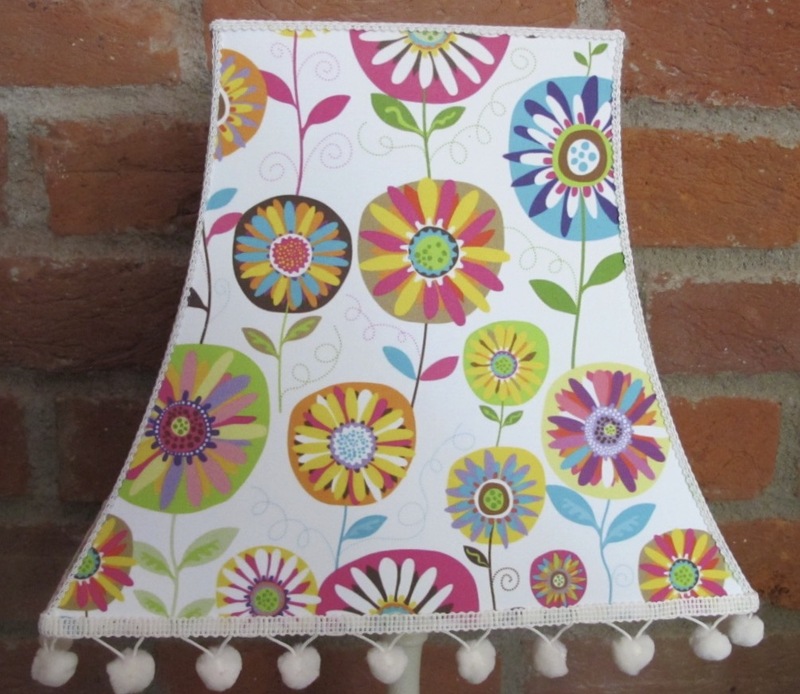 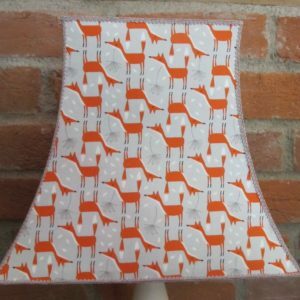 Oo if you want a splash of colour then this is definitely the lampshade for you! 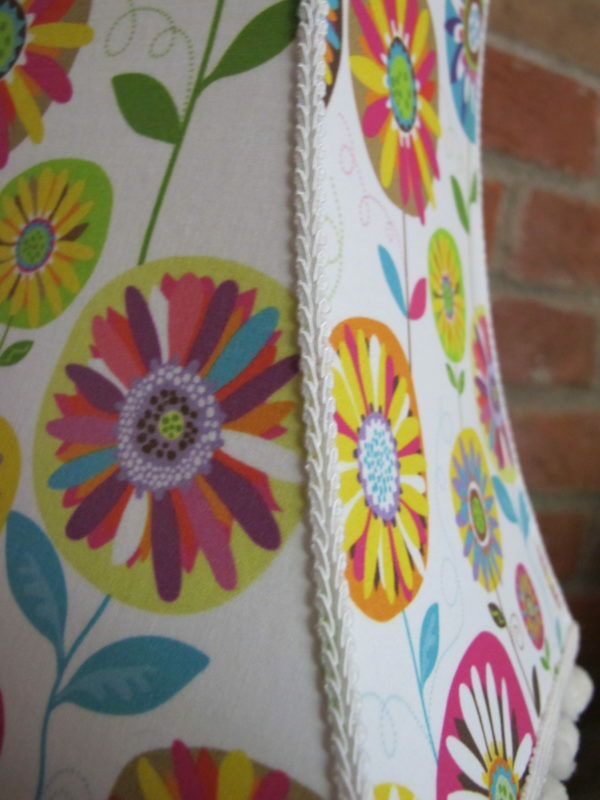 This stunning lampshade would look good anywhere in your home and features pretty much every colour in the rainbow! 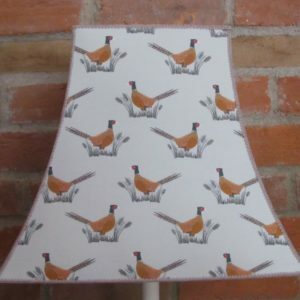 Very pleasing on the eye this one. 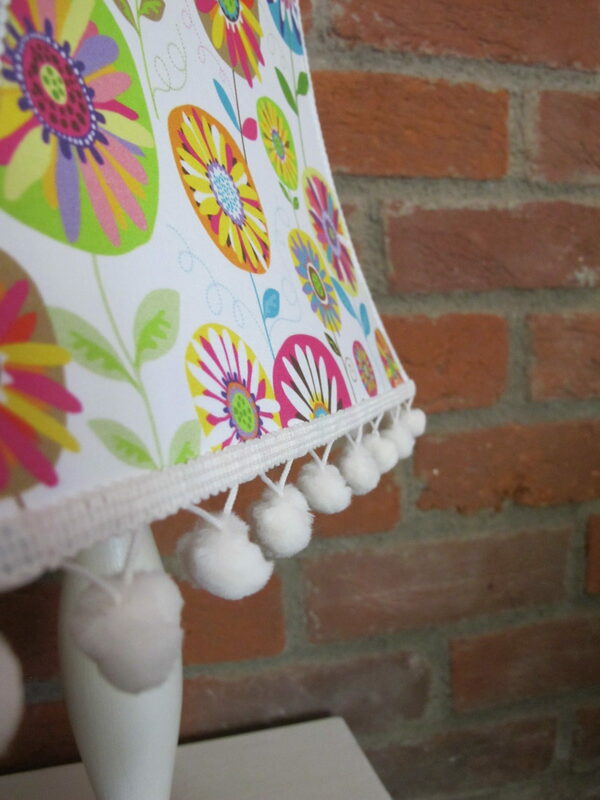 Edged with light cream braid finished off with Oohlala pom poms! 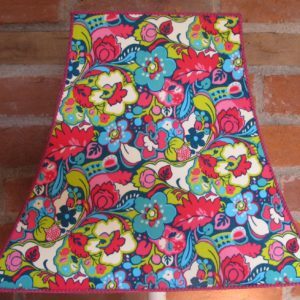 The design may alter slightly due to the cut of the material, but don’t worry it will be as close to the design as possible.